It was good for the From Pink to Prevention team to meet face to face finally, in February, with senior staff at Breast Cancer Now to discuss our concerns about BCN’s Risk Booklet. BCN’s priority areas are to do with medical research linked to lifestyle factors – factors they can identify and act upon with speed and while we fully appreciate their remit, we made it clear that we very much want BCN to start to – incrementally at least to begin with – make significant progress on the referenced inclusion of environmental and occupational risks for breast cancer in their booklet. This is relevant to both BCN’s target 42% of women for whom lifestyle risk is their priority to address, as well as the remaining 58% , for many of whom the reason for getting the disease remains unknown. One of our main concerns was that the literature review references sent to us on which the updated Risk booklet dated July 2015 was based and assessed had no references post 2010. This was a stunning revelation given the significant level of research that has happened over the last six years, much of it ground breaking in terms of the prestigious institutions that have broken the silence and finally acknowledged the environmental and occupational links to breast and other cancers. Far from revealing new information, a significant proportion of the research has consolidated what we already knew or suspected about breast cancer, that it is not all down to lifestyle risk factors alone. In fact links with environmental and occupational exposures appear to contribute to some of the so-called lifestyle risk factors such as obesity and diet. Even research prior to 2010 upheld the links between environmental and occupational exposures and breast cancer which begs the question of BCN as to why both these risk factors were listed under a ‘factors unlikely to increase risk’ or ‘does not affect risk section’ of their booklet. It is our firmly held view that public information on risk assessment needs to be based on up to date 21st century science even if it is felt by BCN that there is a lack of clarity for them on the issue. We went through their Risk Brochure in detail in order to unpack our concerns with some of the statements in it (particularly on pages 45 and 47, which we looked at in detail in the meeting). Since the meeting, we’ve asked BCN to provide an online downloadable list of all the references with a fully referenced copy of the booklet; an upgrade of the category chemicals in the environment to either increases risk or placed alongside shift work in the possibly increases risk category. A copy of the letter we sent to BCN with this request can be seen here. At the meeting we made the case that the category of chemicals in the environment should most definitely not remain in the same category as under wire bras, especially as ‘the environment’ appears to include workplace environment in their booklet. Relating to the shift work issue, we suggested removing the para referring to the unhealthy diets of women who do shift work as we all agreed, it confounds the issue of ‘risk’ and is supposition unsupported by research. Also, the reference to women working in the manufacturing industry needed to be qualified and referenced as this could lead to millions of women working in manufacturing questioning whether this referred to their industry or not. We were asked for evidence/environmental studies relating to elevated levels of oestrogen and breast cancer and referred BCN to the Silent Spring Institute which has conducted numerous studies in relation to Cape Cod and the pollution linked with breast cancer there; to the reports listed in our From Pink to Prevention document on the scientific evidence; to the Endocrine Society which has produced two recent statements on the issue and finally to The Endocrine Disruption Exchange (TEDx), ( the brainchild of Theo Colborn who wrote Our Stolen Future) which contains a listing of known, suspected and probable EDCs. We concluded by agreeing that, like BCN, we too want to see no life lost to breast cancer and that the addressing of lifestyle factors in isolation will not achieve this goal. The BCN Information booklet about risk factors for BC, now in its 5th edition, cannot stand as a valid, reliable and up to date source of risk information for women until and unless the conclusions it contains are substantiated by references that truly reflect the latest scientific advances in identifying both proven and potential risks, either throughout the text or fully appended by section and number at end of booklet. From Pink to Prevention is calling upon all breast cancer charities – not just BCN – to acknowledge and act upon environmental and occupational risk factors for the disease. 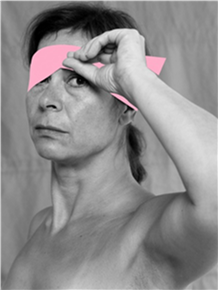 This is also an international issue and campaign and we look forward to building on our work started last year, when 16 international organisations signed our open letter calling on breast cancer charities everywhere to remove their pink ribbon blindfolds and ask why, despite all the money raised, more and more of us are getting this disease? The groups believe we are not getting the full picture on this breast cancer epidemic that has taken us from a 1 in 12 chance of a woman getting the disease in her lifetime in 1995, to a 1 in 8 chance today. We need urgent action now.